A special place for a special partner. TNO has been a partner of RSNMC for 2 years now. Together they are the founders of the amazing ONLIVE project. Their expertise on fundamental technologies needed to create a platform like ONLIVE lays in context-aware smart algorithms that can predict what is relevant and useful for an end user in any situation. They have valuable knowledge in the area's of Mesh networking, Blockchain, and Bluetooth technologies. Moreover: the people of TNO are real team players with high ambition. 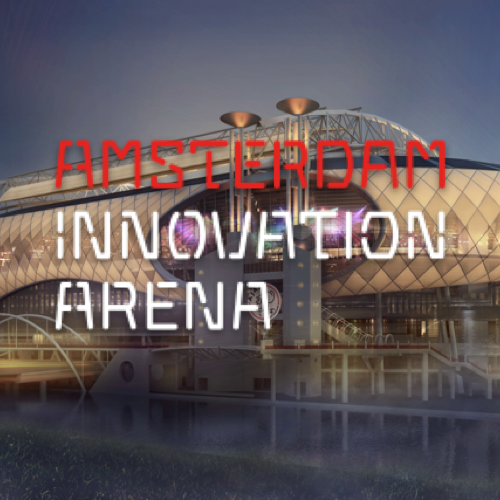 The first match between RSNMC and the Amsterdam Innovation Arena is the high ambition both have in common. The biggest stadion of the Netherlands wants to be the most innovative stadion in the world by 2020. RSNMC is contributing to the big goal by innovations, project ideas and as the official Amsterdam ArenA app developer. The ArenA offers RSNMC a great playground to test and demo it's products. RSNMC believes in working together with students for serval reasons. The most important reason is that students are almost always a target audience for the products of RSNMC. In working together with students in early phases of product development RSNMC is receiving valuable feedback from end users. The products of RSNMC also form great research projects for students in the area of market research, user experience design and communications. The great people of Fair2Media have helped RSNMC with several projects. Kosmo Broom and his great team specialize in installation design, software design, and user experience. With a unique vision and great socio-technological common sense, they do great things for great clients. RSNMC involves them in almost all of the projects. Mostly because of their professional specialism but also because they are just great people to work with.